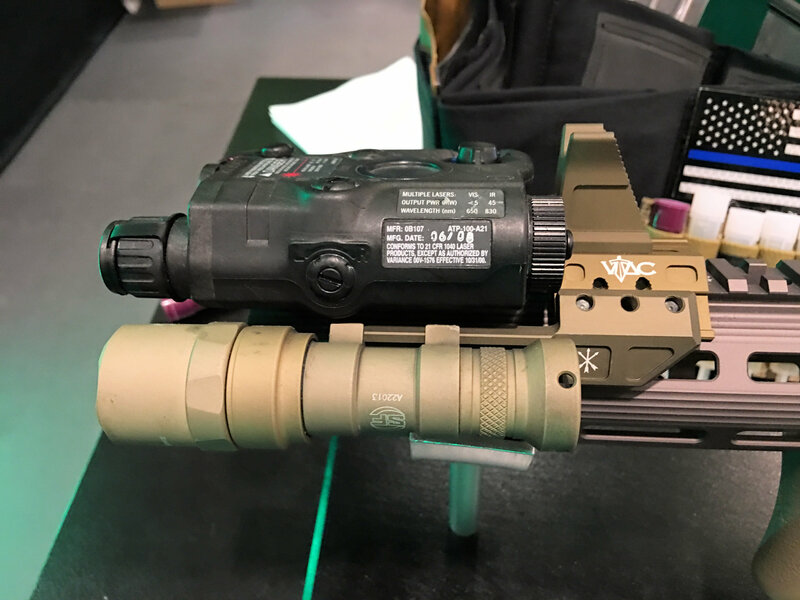 Unity Tactical Fusion LightWing Adapter Lo-Pro Tactical Light Mount for Fusion Micro Hub 2.0 Mounting System for Tactical AR-15/M4/M4A1 Carbine/SBR! (VIDEO) | DefenseReview.com (DR): An online tactical technology and military defense technology magazine with particular focus on the latest and greatest tactical firearms news (tactical gun news), tactical gear news and tactical shooting news. DefenseReview (DR) has been covering Unity Tactical (UT) products for awhile now (see “Related Videos” section below), and for good reason. They’re interesting, innovative, well-designed, and well-made. 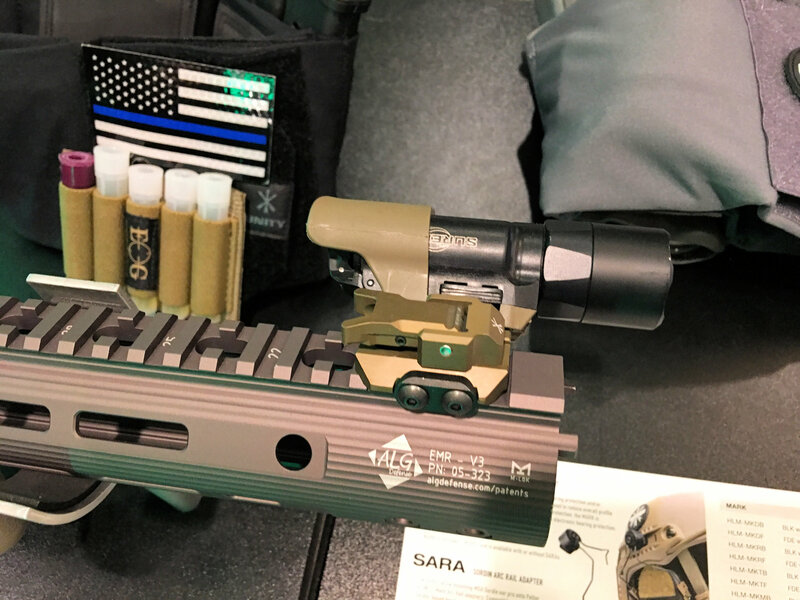 Basically, they make your life better and easier when you’re running a combat/tactical pistol or tactical AR with lights (tactical lights) and lasers on it. 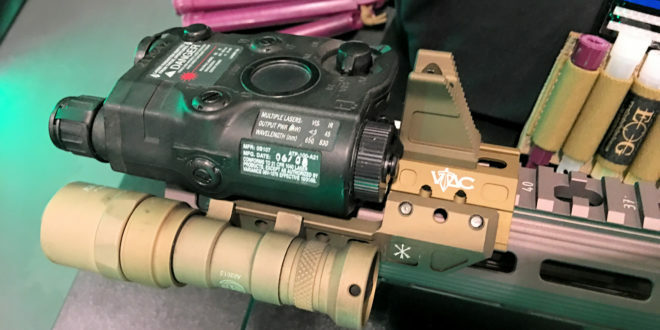 So, we were very pleased to check out the new Unity Tactical Fusion LightWing Adapter for the UT Fusion Micro Hub 2.0 mounting system, who’s precursor DR covered in a past article. 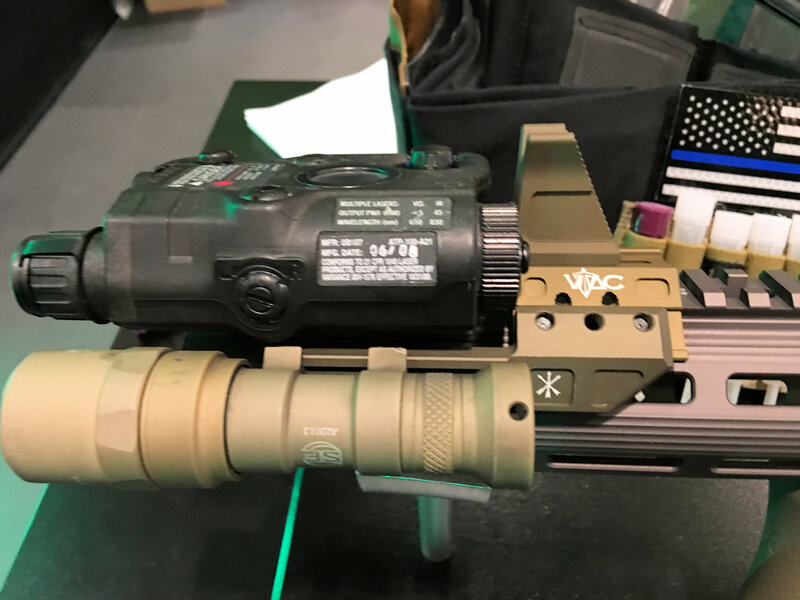 The Unity Tactical Fusion LightWing Adapter and Micro Hub 2.0 are specifically designed to allow the operator/shooter to mount a tactical white/IR (Infrared) light and front BUIS (Back Up Iron Sight) “in conjunction with the [L3/Insight Technology ATPIAL (AN/PEQ-15)] or [L3/Insight Technology ATPIAL-C Class1/3R IR] Multi-Function Aiming Laser”. 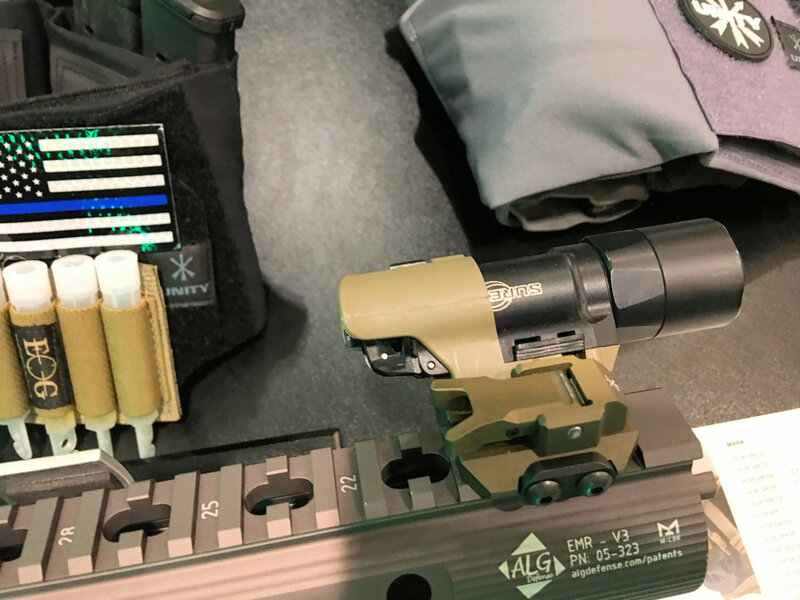 The Fusion LightWing Adapter places the tactical light on the side of the rail, so the ATPIAL or ATPIAL-C can be mounted on top, in front of the front BUIS (see accompanying photos and video). 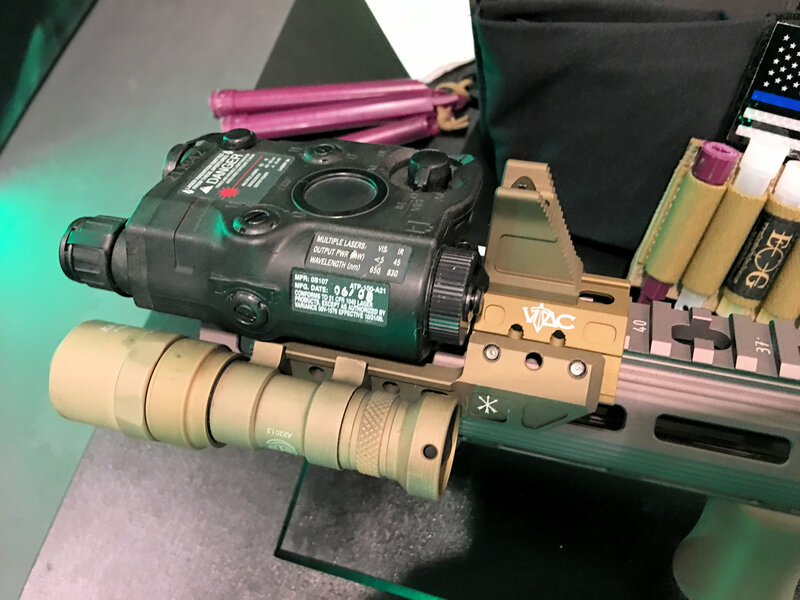 The Fusion LightWing Adapter and Micro Hub 2.0 are designed to be lo-pro (low-profile), and allow the operator/shooter access to the ATPIAL’s battery compartment while all are mounted to the gun. Pretty sweet. Base on what we’ve read on the Unity Tactical website, the UT Fusion Light Wing Adapter would appear to be ambidextrous if the Micro Hub 2.0 is mounted IN FRONT of the ATPIAL. However, if you want to mount the Micro Hub 2.0 BEHIND the ATPIAL, like in the accompanying photos and video, you have to choose either a right or left LightWing Adapter. 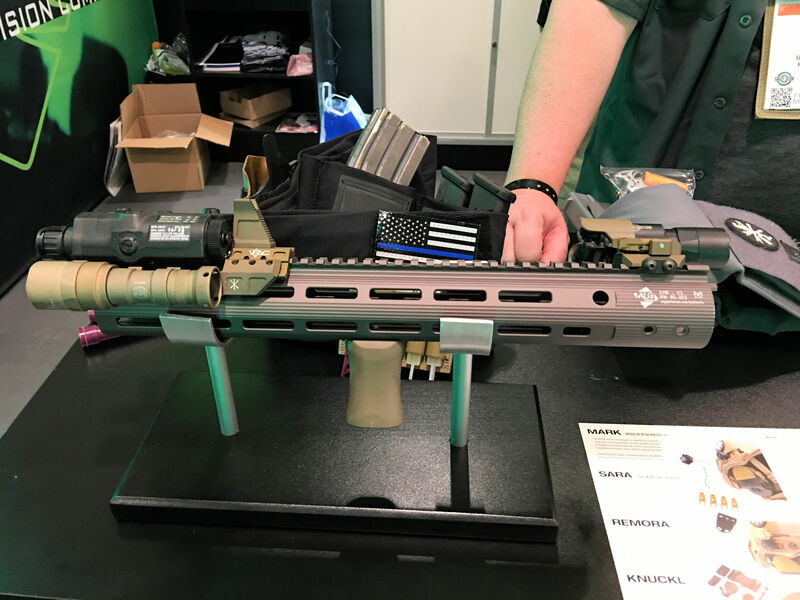 Btw, in the video below, you can also see the Unity Tactical Direct-Mount VFG (Vertical Fore Grip), a prototype of which DR covered a few years ago, and likes. It’s a nice little unit. “Originally developed with Kyle Lamb for Viking Tactics, the Micro Hub was a smaller, streamlined version of our original FUSION hub. Now even further refined, the Micro Hub 2.0 adds even more versatility and deeper integration with light and laser systems. Previous: Israeli Carmel Armored Vehicle/Tank, SMASH Electro-Optical Aiming System/Weapons Sight, UAS/UAV/Drone Aircraft, and Unmanned Undersea Vehicles (UUV) All Unveiled by the Israeli Defense Ministry’s Administration for the Development of Weapons (ADW) for Future Warfare Applications!